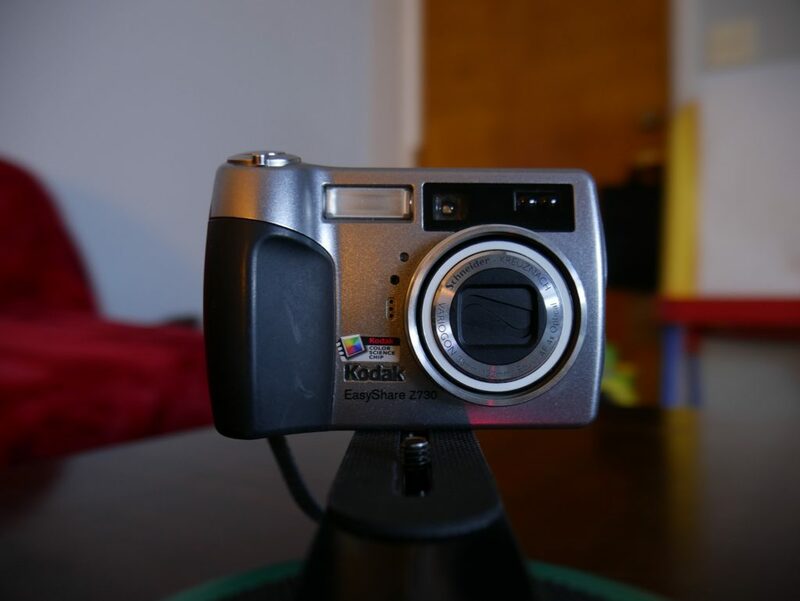 I recently got my hands on a Kodak EasyShare Z730. It’s actually a really neat little point-and-shoot from 2005. I originally bought this cute little camera for $25 with the intention of converting it to full-spectrum (infrared) but it didn’t focus at all with the hot mirror removed. Unfortunately, I “broke” the camera while reassembling it the first few times because I didn’t push a flat ribbon cable all the way in. The camera would power on, then report “high camera temperature” and shut down. As it turns out, the flat cable that goes to the top board in the camera has two levels of contact pins and is pretty hard to get all the way in. I had actually failed to reconnect it properly and as a result the camera thought it was overheating. Once I realized that the end of this cable had multiple levels of pins and it obviously wasn’t in the socket far enough I was able to fix it. Obviously the camera’s temperature was never the real issue. This camera is 13 years old as of this post, but I hope that anyone else who tears into a Kodak camera and gets this error message will be helped by it. Please leave a comment if this helped you!